2 October 2014. MedAware, a company harnessing big-data analytics to prevent erroneous drug prescriptions, raised $1 million in its first round of venture financing. The Ra’anana, Israel enterprise completed the funding round led by OurCrowd, an Israeli crowdfunding investment service, with contributions from GE Ventures. The company is the creation of CEO Gidi Stein, a practicing internist with a Ph.D. in computational biology from Tel Aviv University. Stein and others started MedAware in 2012 to fill a need for better tools to prevent prescription drug errors. 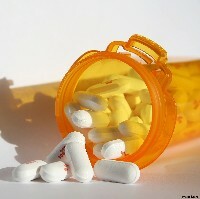 Institute of Medicine in the U.S. estimated in 2006 that 1.5 million adverse drug events happen in the U.S. each year. The institute’s report cited data that each adverse drug event costs hospitals some $8,750 (2006 dollars) with the costs in human and financial terms largely preventable. The U.S. Centers for Disease Control and Prevention points to factors making adverse drug events even more likely: continued development of new drugs and new uses found for current drugs, aging of the population, increase in medications to prevent disease, and increased insurance or Medicare coverage for prescriptions. At the same time, the increasing use of electronic medical records is believed to offer a way to prevent these errors. Electronic medical records and electronic prescription systems, says MedAware, can address only parts of the problem, such as known drug interactions and allergic reactions. These systems can also be a source for new types of prescription errors, such as picking the wrong drug from a drop-down menu. And these systems often result in false-positives, leading to users questioning alerts that are issued. MedAware says it has a better approach that detects a wider range of prescription errors and with greater accuracy. The company’s technology is based on algorithms that analyze large quantities of data in electronic medical records, combined with machine learning to build a mathematical model representing real-world treatments. These models are then built into the prescription ordering systems to provide more realistic error checking. As with most current systems, new prescriptions are checked against a patient profile and issues an alert if the new order deviates from previous patterns. However, the MedAware technology also learns the physician’s prescription patterns and stops sending alerts when alerts are repeatedly overridden. In addition, the systems provide quality-assurance reports that compare prescriptions and outcome patterns for complex diseases with patients having similar disorders. The MedAware technology was used in pilot studies in Israel that evaluated results of prescription ordering systems at 3 medical institutions over at least 5 years, covering both hospitalized patients and outpatient clients, for whom the systems approved prescriptions be written. MedAware’s systems found errors in 3 percent of the hospitalized patients and 1 percent of the outpatient clients. Among the errors were incorrect drugs prescribed, wrong patients given a prescription, new clinical information missed or ignored, and failure to change dose or discontinue a drug on time. Examples of the errors were a chemotherapy drug prescribed for a patient without cancer instead of an antibiotic with a somewhat similar name, and a diabetes drug prescribed for a healthy 45-year old patient with no history of diabetes. MedAware plans to use the proceeds of the financing to support initial sales to health care providers, insurance companies, and large drug store chains. Funding for MedAware was the first investment for the partnership between OurCrowd and GE Ventures.